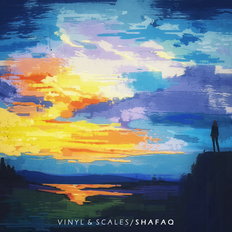 Vinyl & Scales | OK Listen! Vinyl & Scales is an indie/alternative rock band based in Bangalore. Started by four young like-minded musicians, the band started their journey with their own compositions, taking blend of Hindi and Urdu as their primary language for the songs. With compositions which are based on day to day experiences, the band continues to make more music that they hope will inspire and influence people further. Sanjit Dabriwal (Vocals and Keys),Ronit Barua (Guitars),Mridupal Sarma (Bass) and Anshuman Upadhyay (Drums).